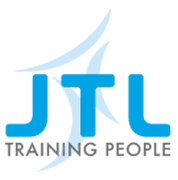 “The office admin team is at the centre of a huge network people, resources and activities – and that makes our organisational skills really important to JTL. A lot of employees work remotely, for example. So when, say, a Training Officer in Manchester needs specific information or a venue reserved for an event, we can provide what he or she needs to get the job done. So although we work behind the scenes, the impact of what we do is felt throughout the organisation. At one level, I could be involved in simple things like making sure that equipment is properly maintained, or liaising with couriers and external suppliers, or responding to emails and telephone calls.